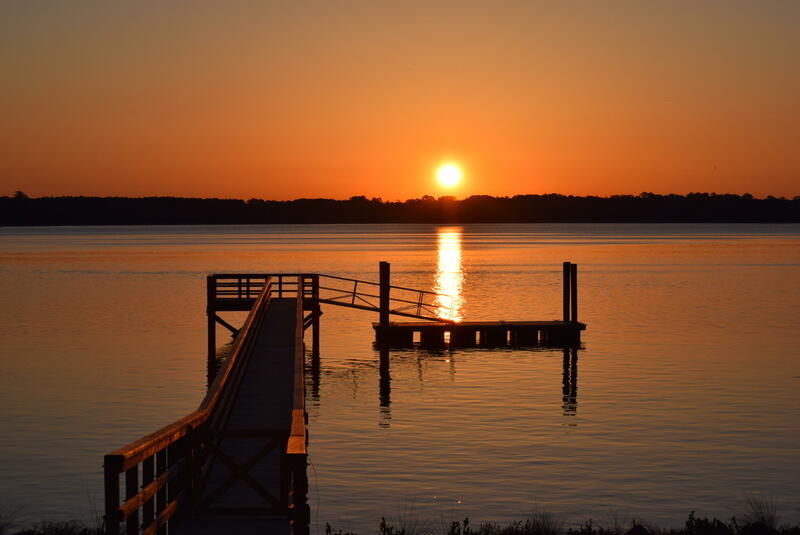 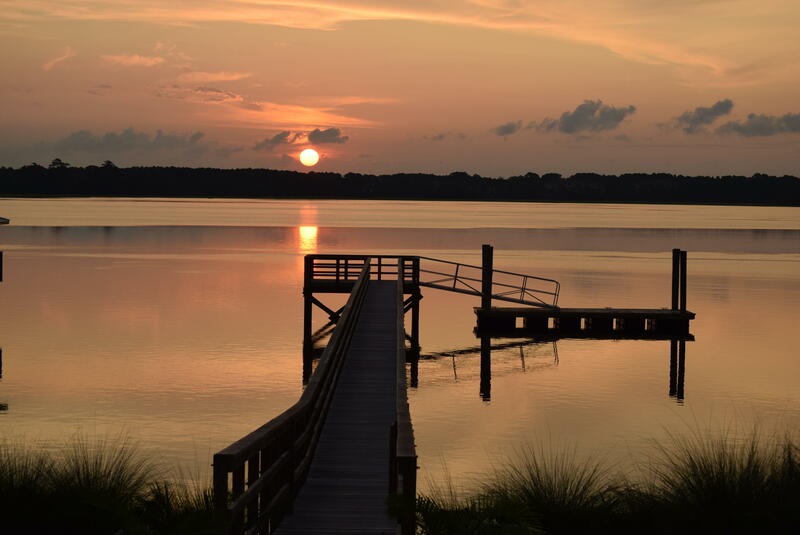 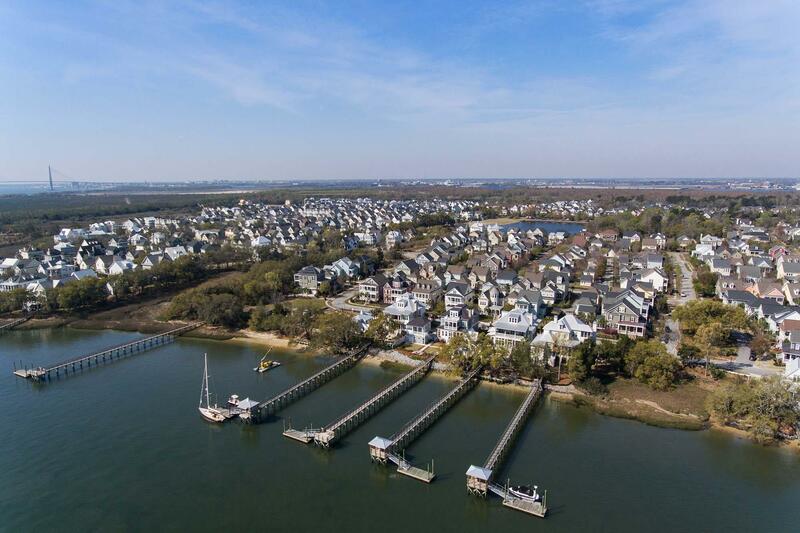 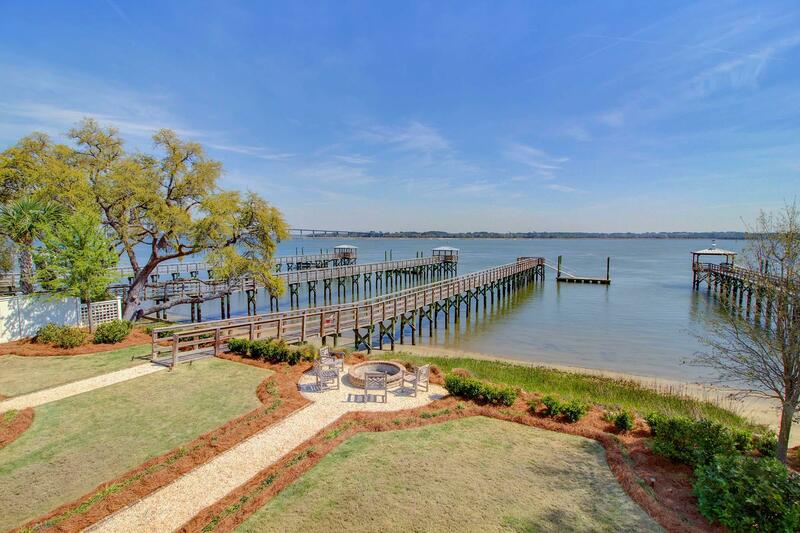 DEEP WATER ESCAPE PRICED TO SELL...Located on the banks of the Wando River, 1484 Wando View offers waterfront island living and is sure to impress any buyer. 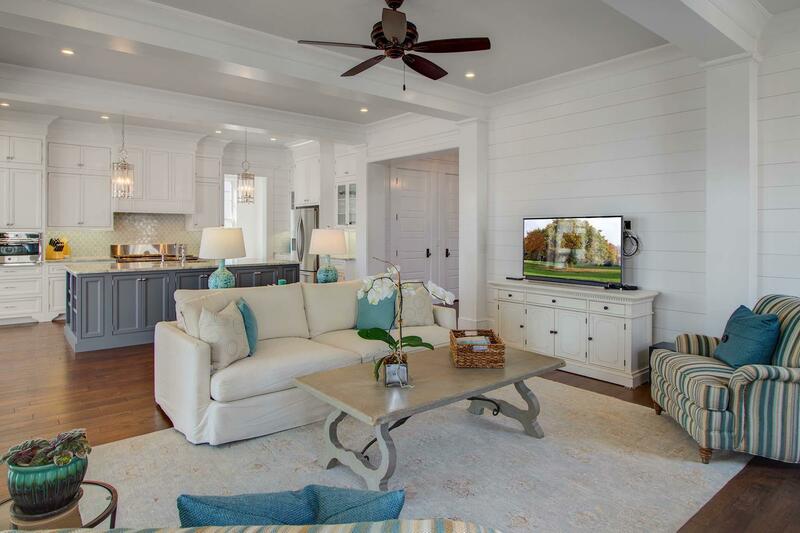 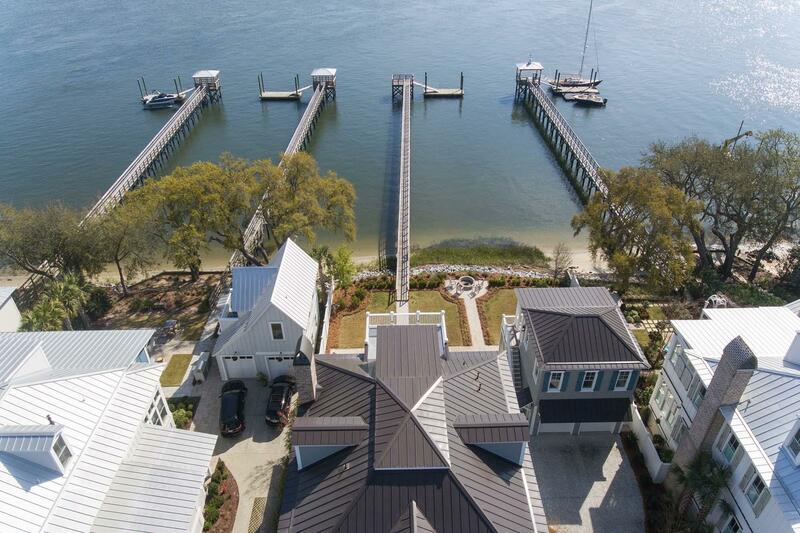 This home is a life style filled with panoramic sunset views of the Wando River , and boat trips that could last for days. 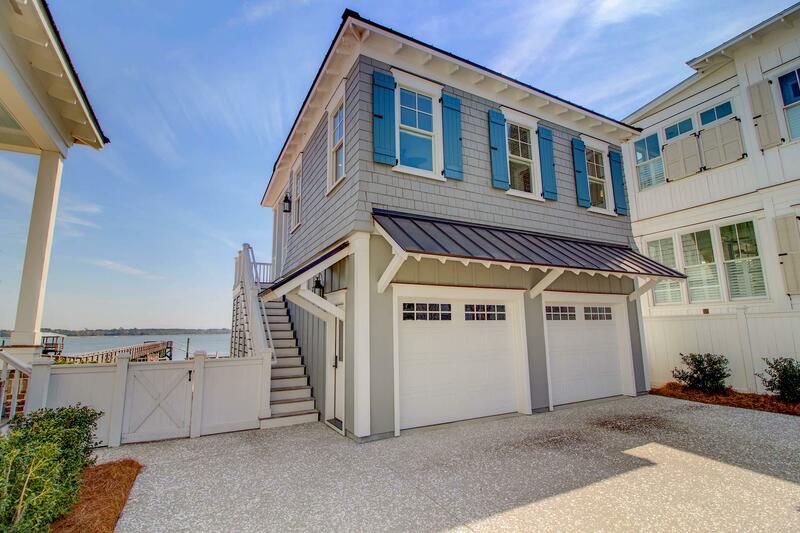 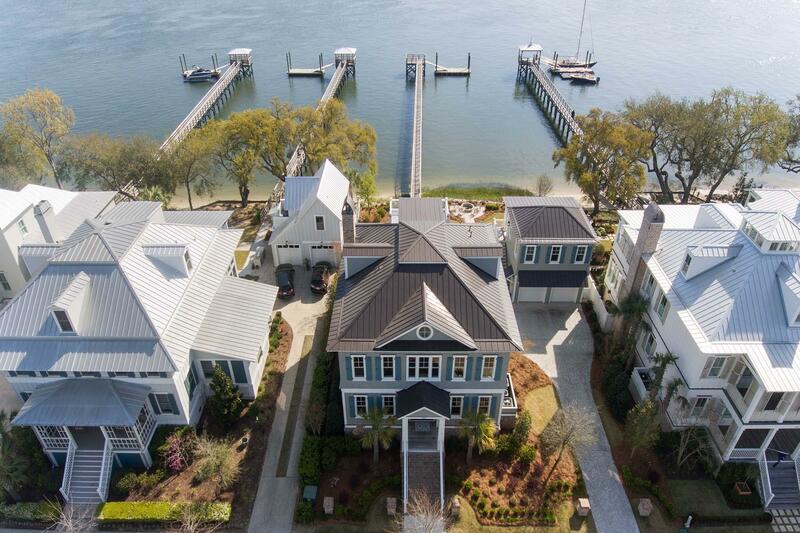 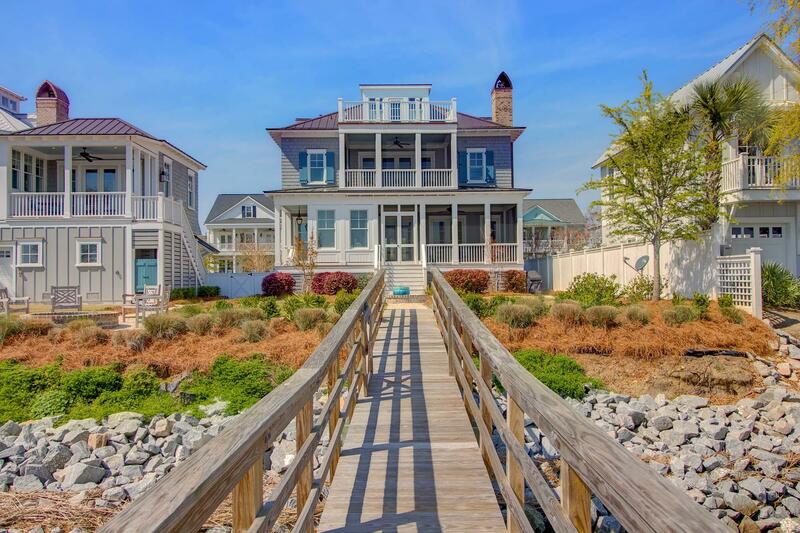 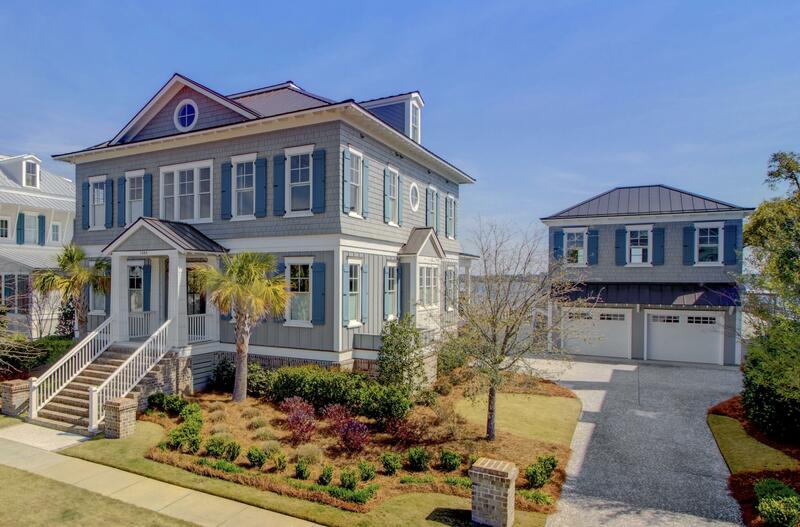 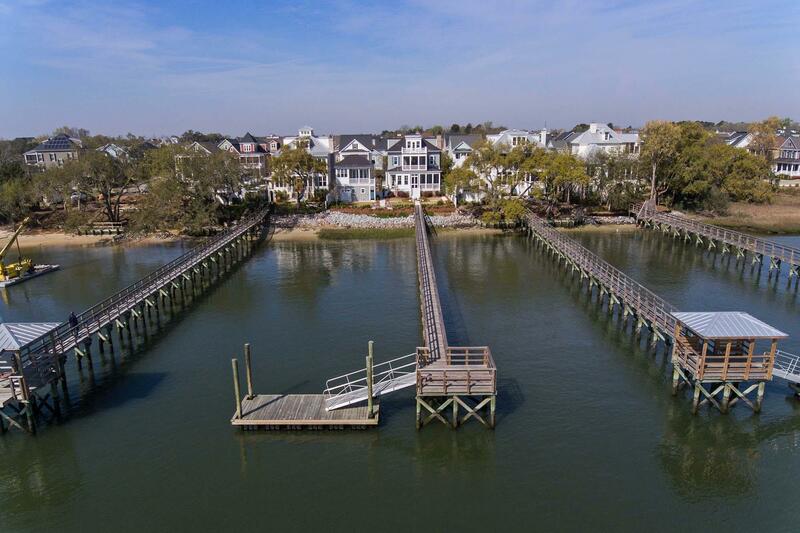 This exquisite home boasts over 5100 square feet of coastal elegance with a private dock and true deep water access at all times! 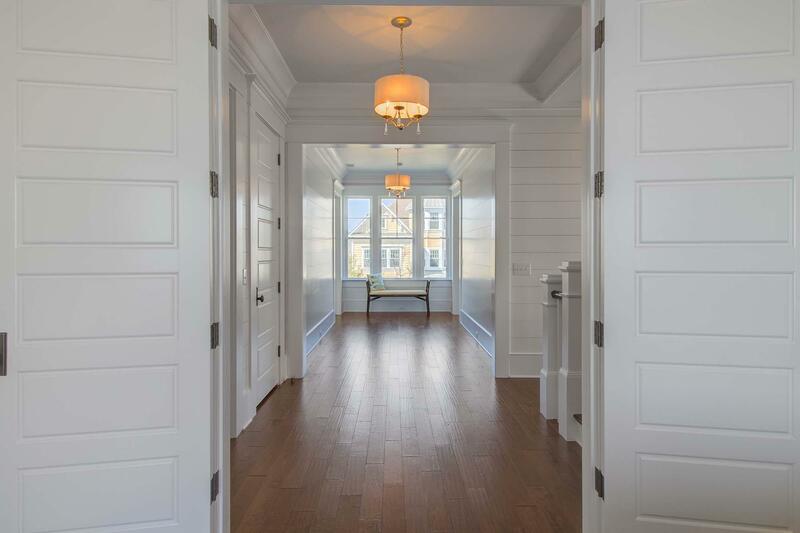 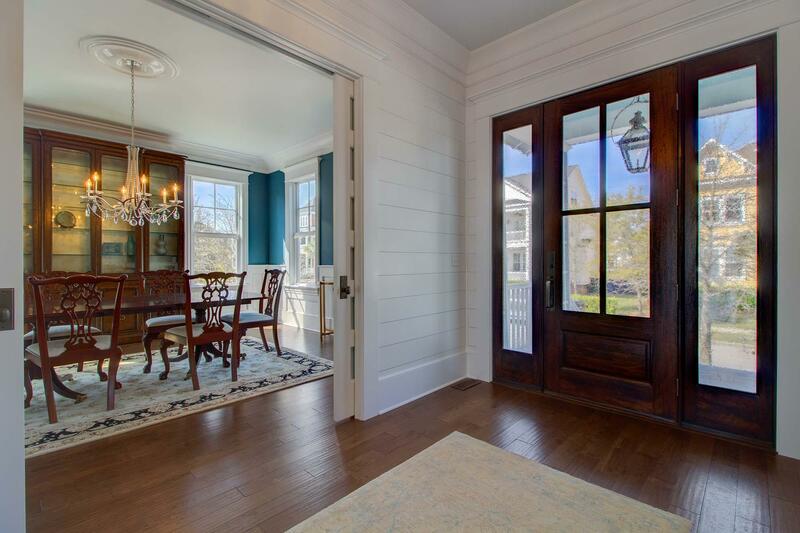 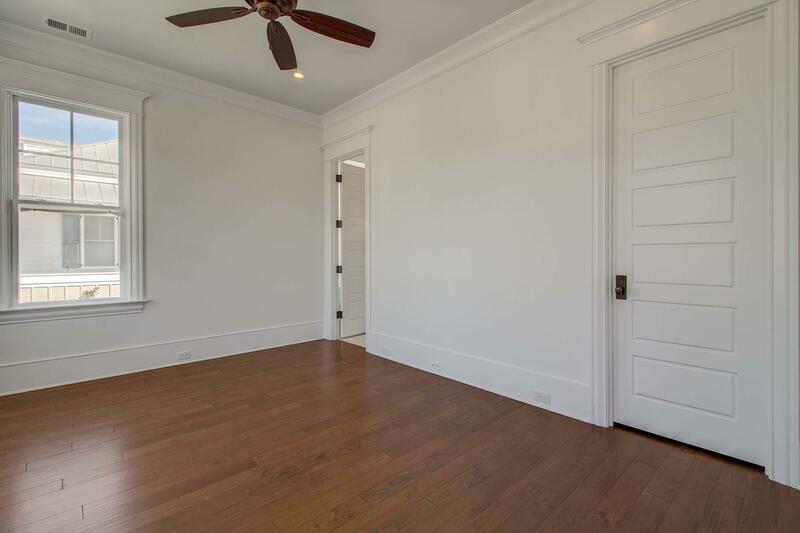 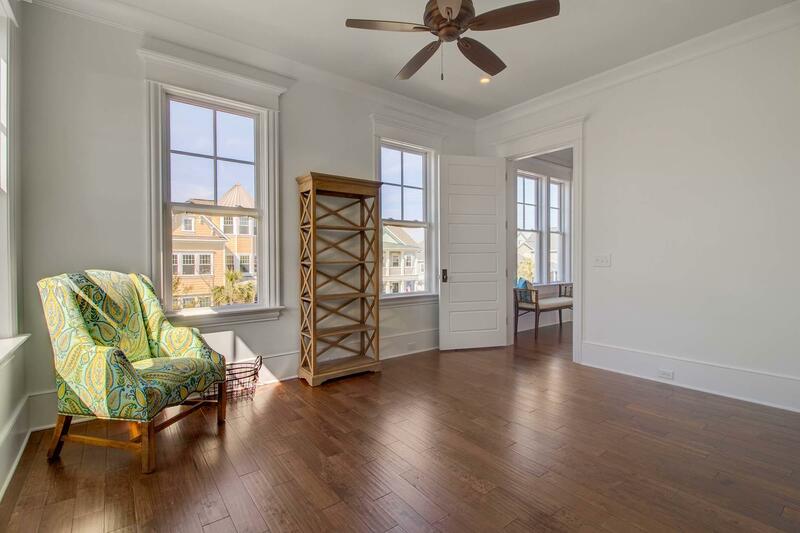 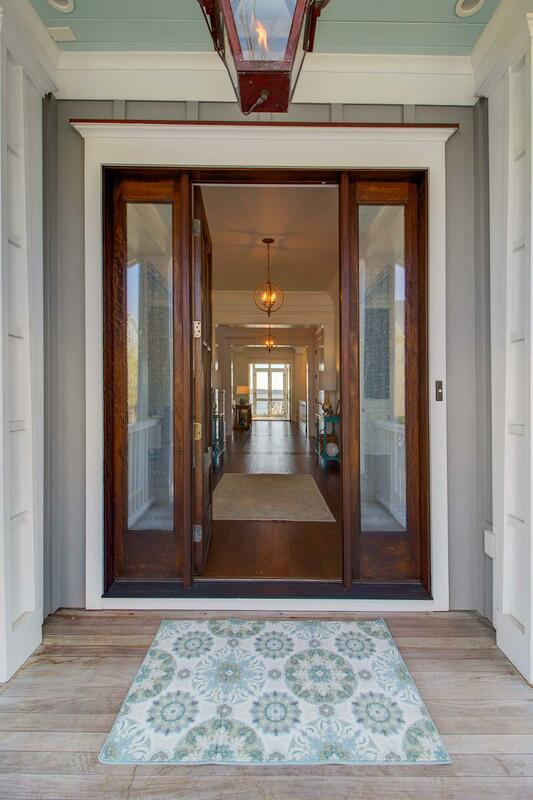 As you enter you will immediately notice the hand scraped pecan floors that span throughout the entire home. 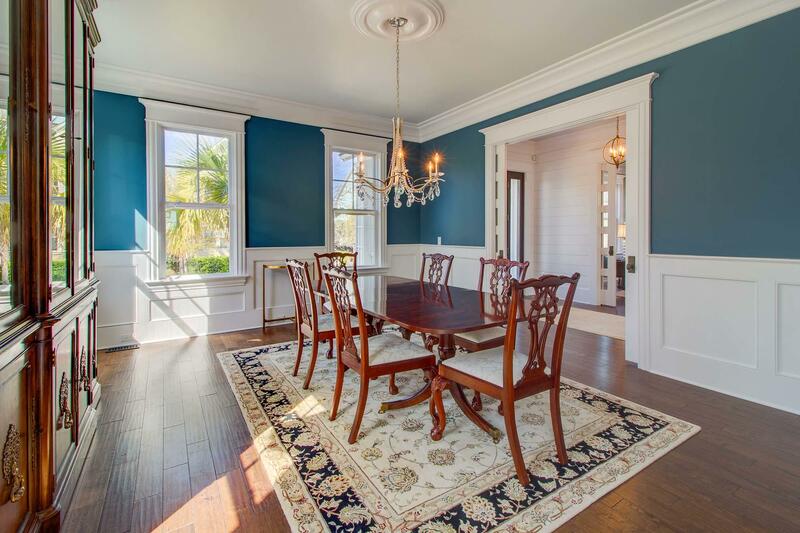 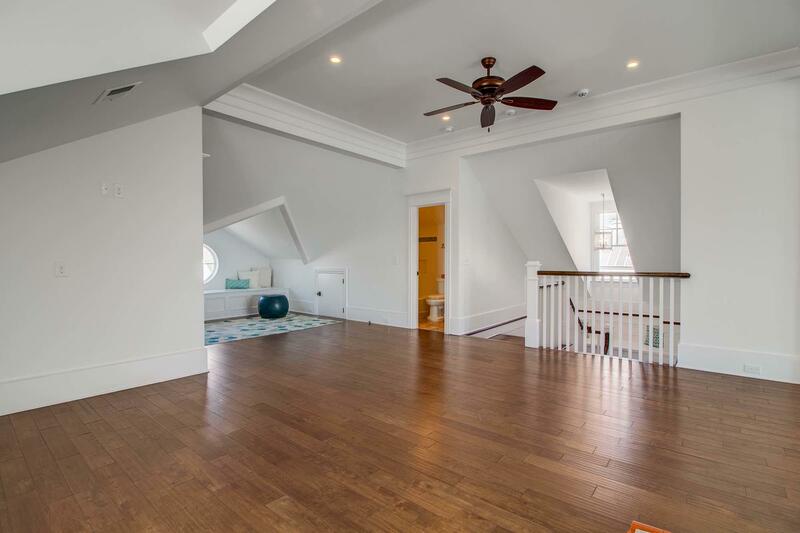 The 10ft ceilings and custom trim work are two more elements adding to the luxury of this home. 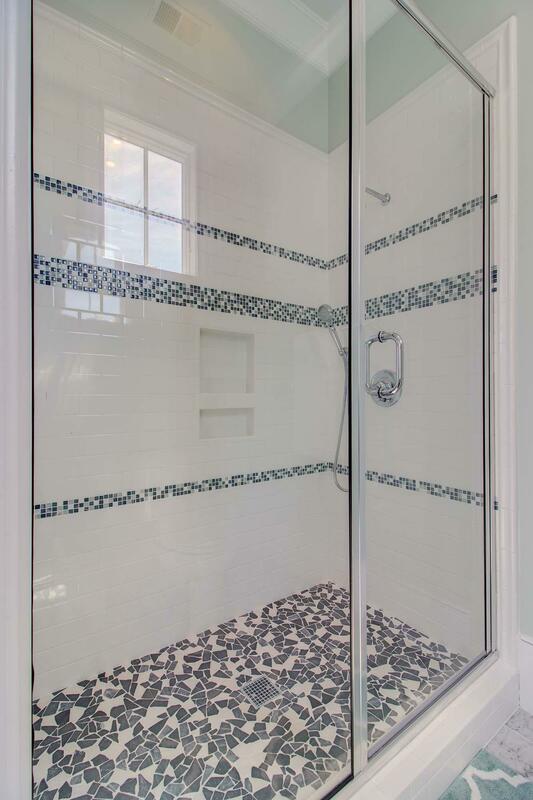 The Rocky Mountain hardware and custom lighting show you that no expense was spared during construction. 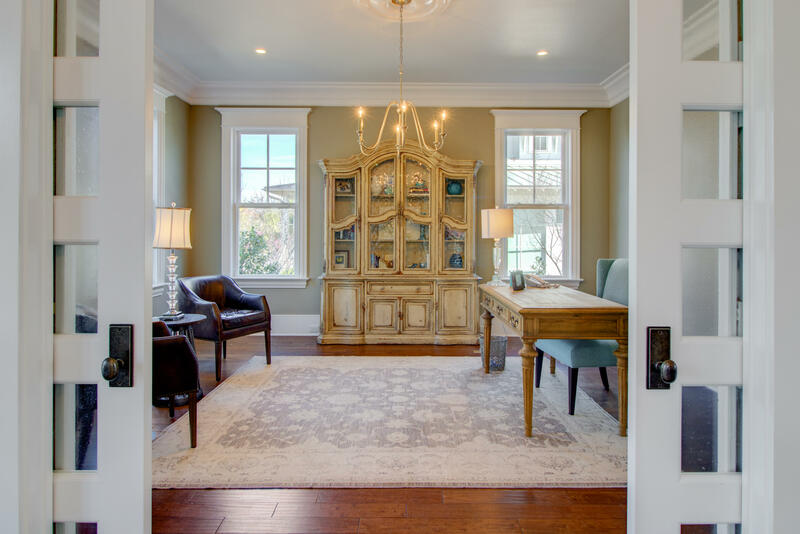 There is a well appointed office off the foyer which features glass pocket door The formal dining room is across the hall and includes wainscot trim, lots of windows, and space for a table to sit 14 plus! 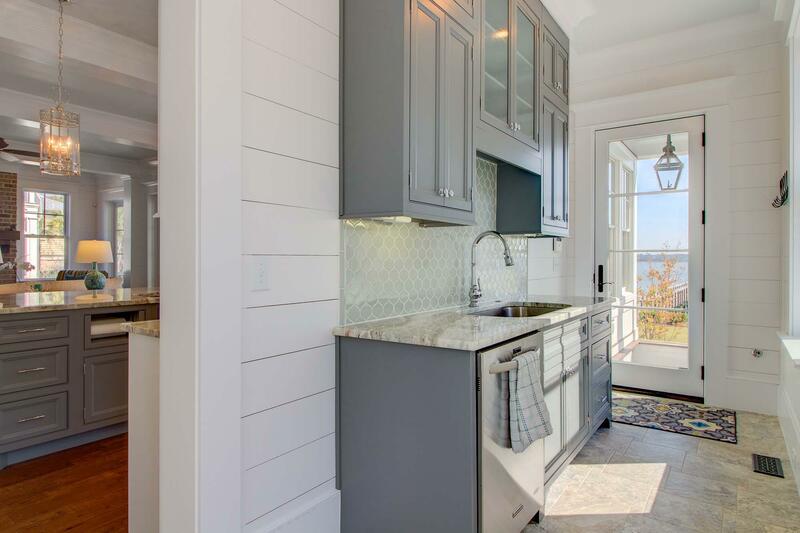 Head back to the heart of the home...the kitchen and family room which boast water views and an open floor plan making entertaining a breeze. 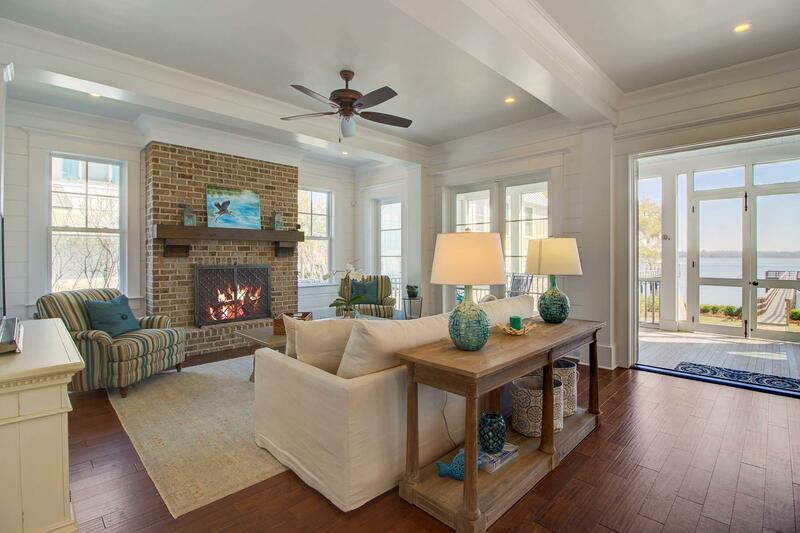 The family room has a floor to ceiling brick fireplace adorned by a hickory mantle. 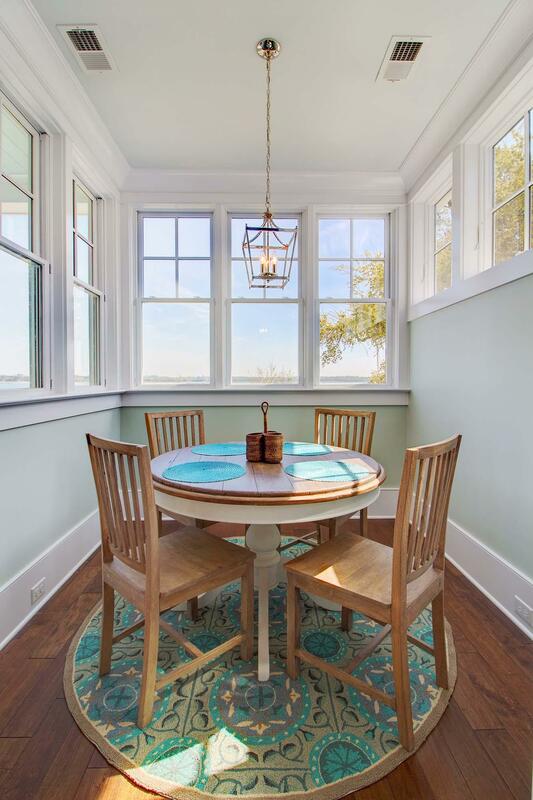 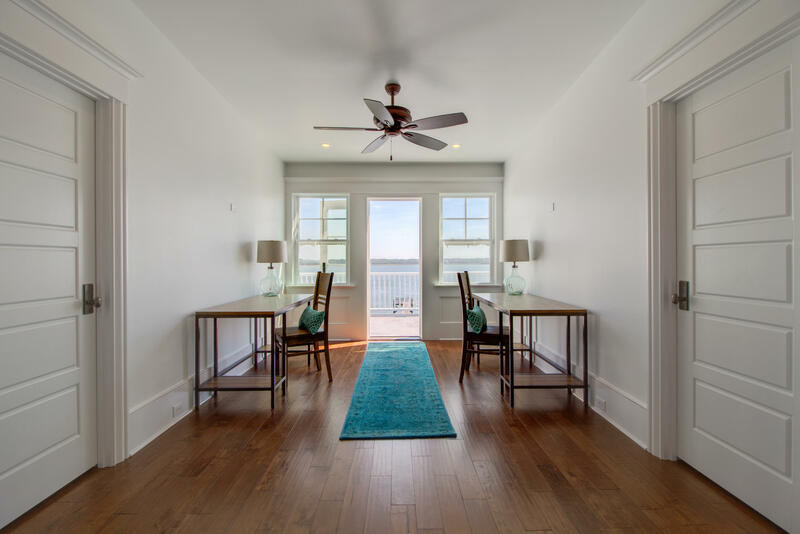 The large, high impact windows, allow for panoramic views of the Wando River. 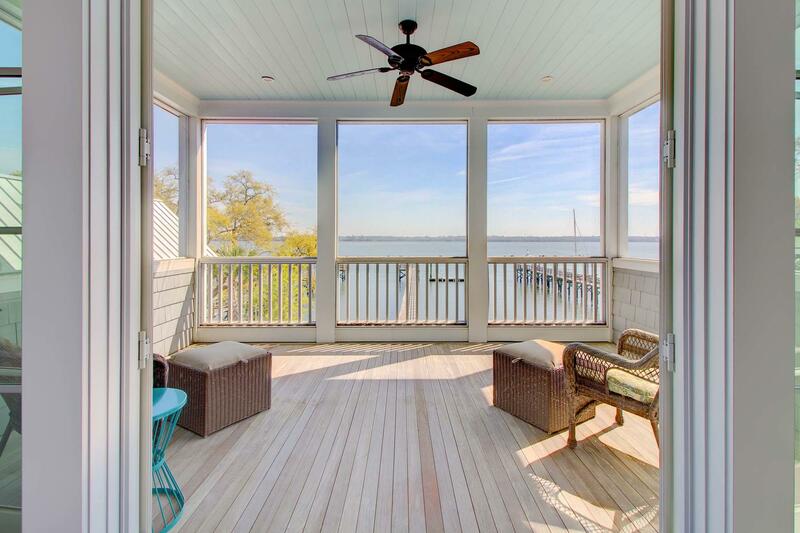 The spacious screened in porch is off the family room and gives guests a place to mingle while enjoying the beautiful low country sunsets. 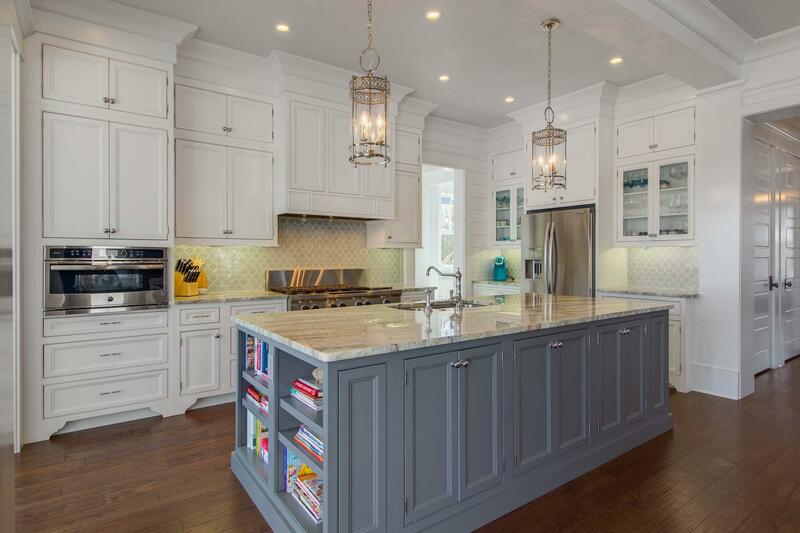 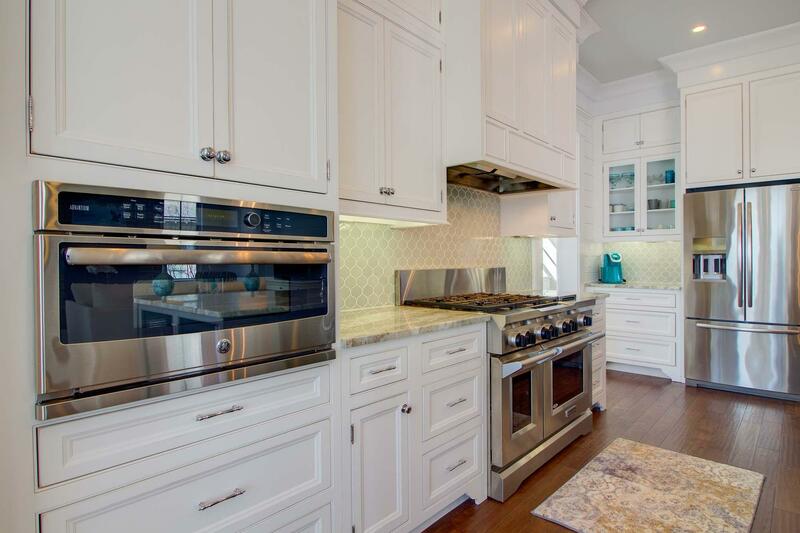 The kitchen is a true chef's dream, equipped with an oversized island, granite countertops, Walker Zanger backsplash, and state of the art appliances. 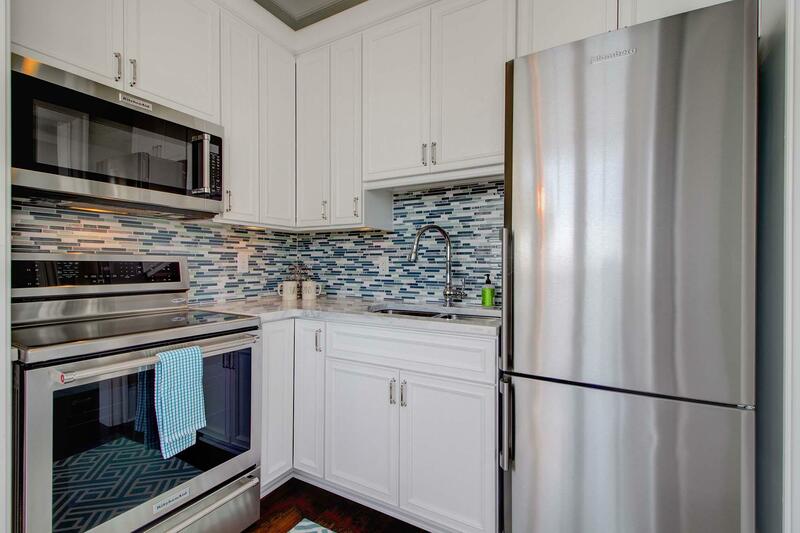 A scullery located right behind the kitchen allows for easy clean up, not seen by guests. 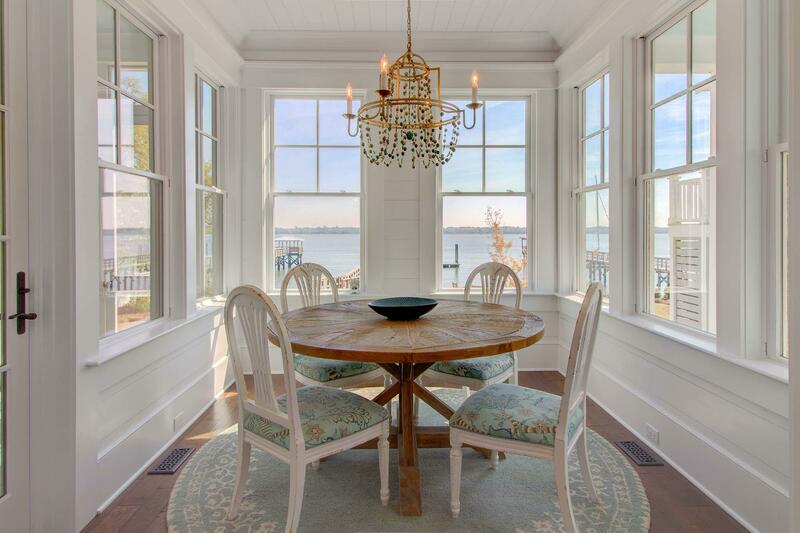 The breakfast area is sure to be one of your favorite spots beaming with natural light and looking out at the River. 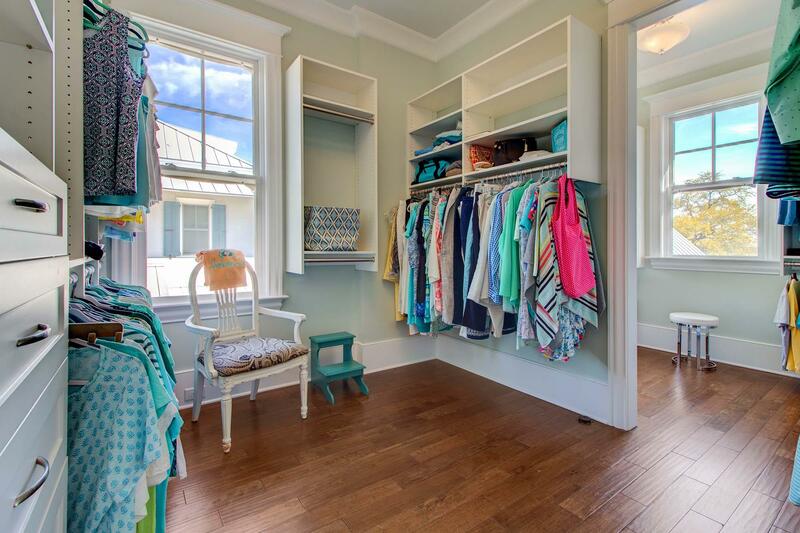 A large pantry and office area are located behind the kitchen as well. 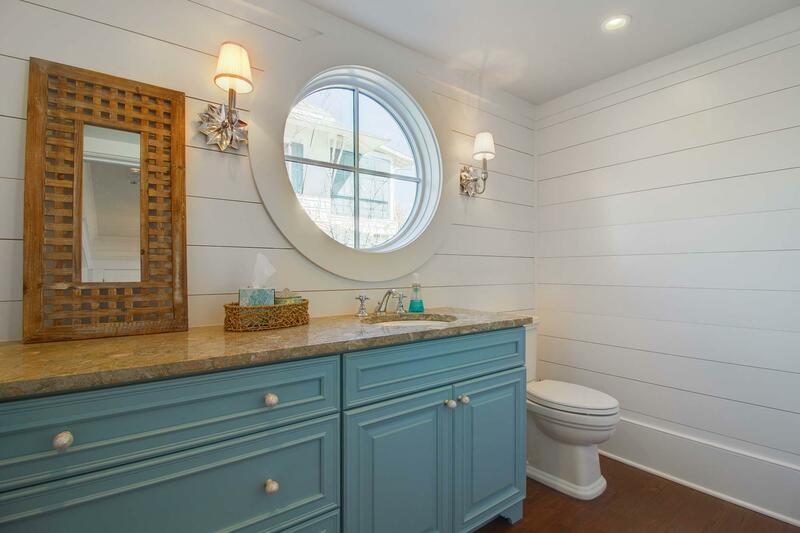 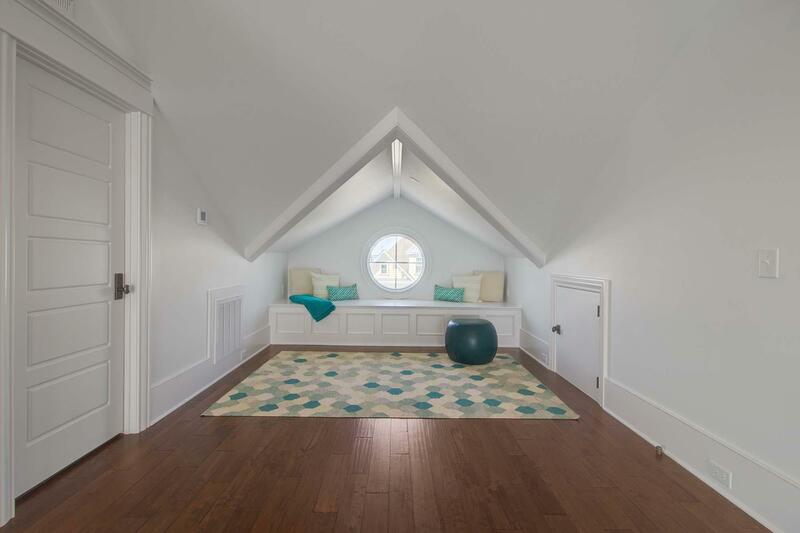 A powder room with a custom round window completes the first floor. 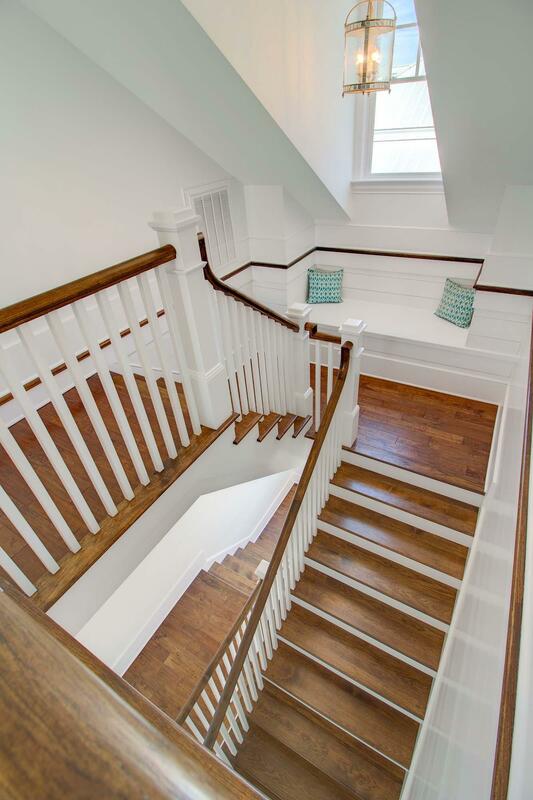 Head upstairs to find your master bedroom/sanctuary. 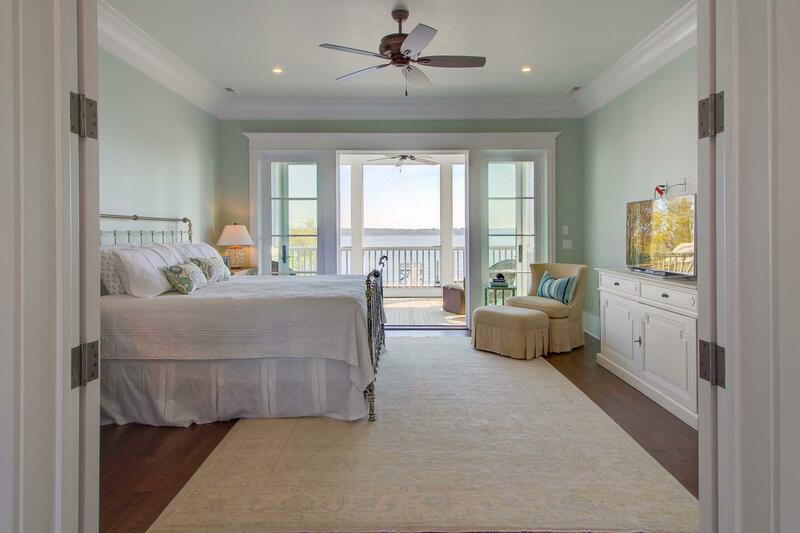 The master suite captures the beauty of the water from its private balcony . 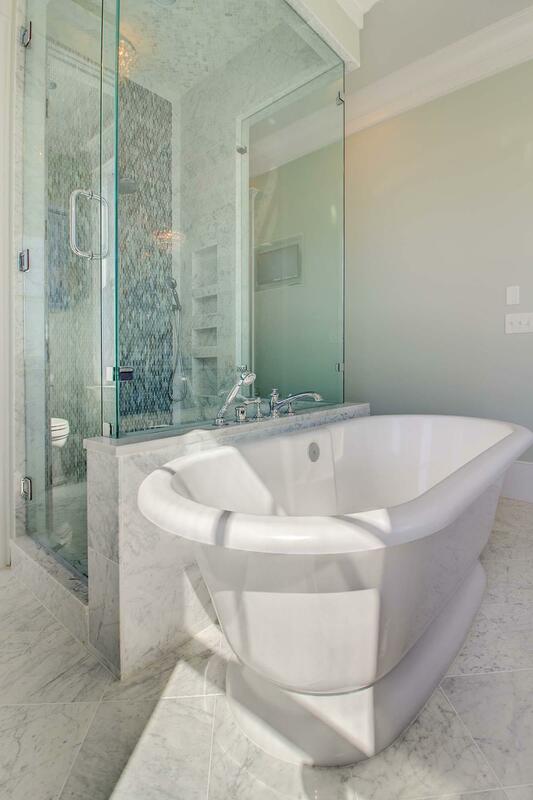 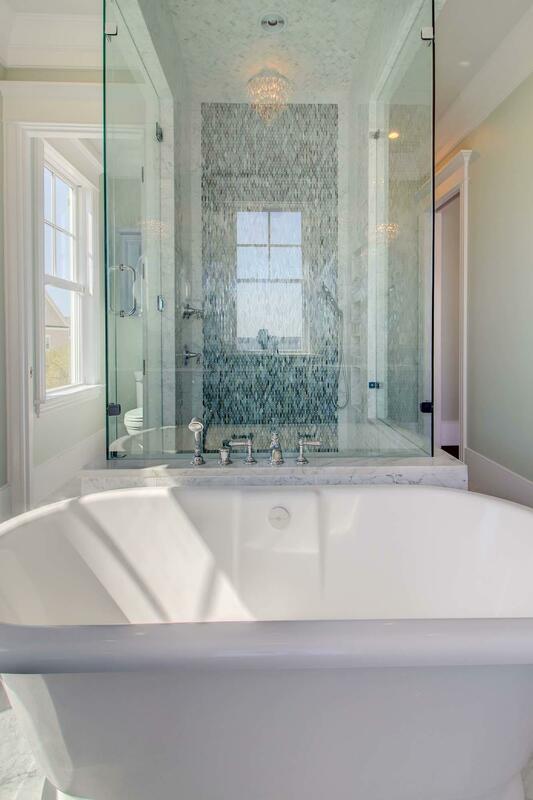 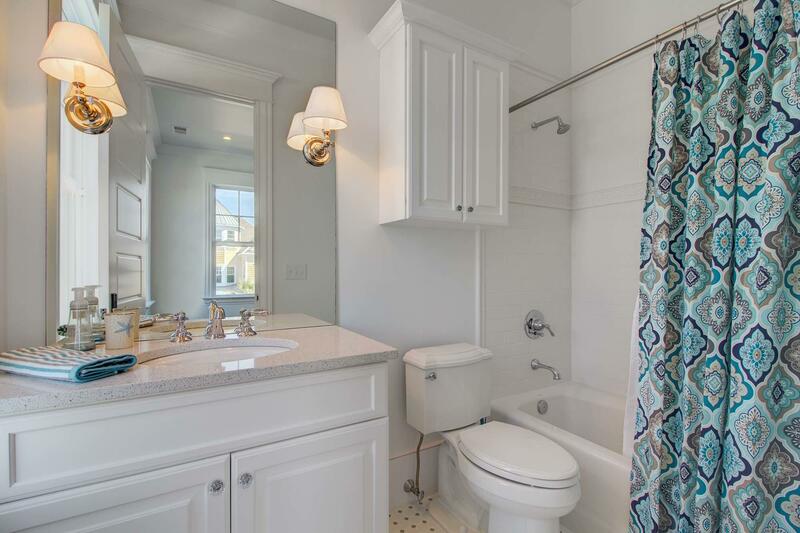 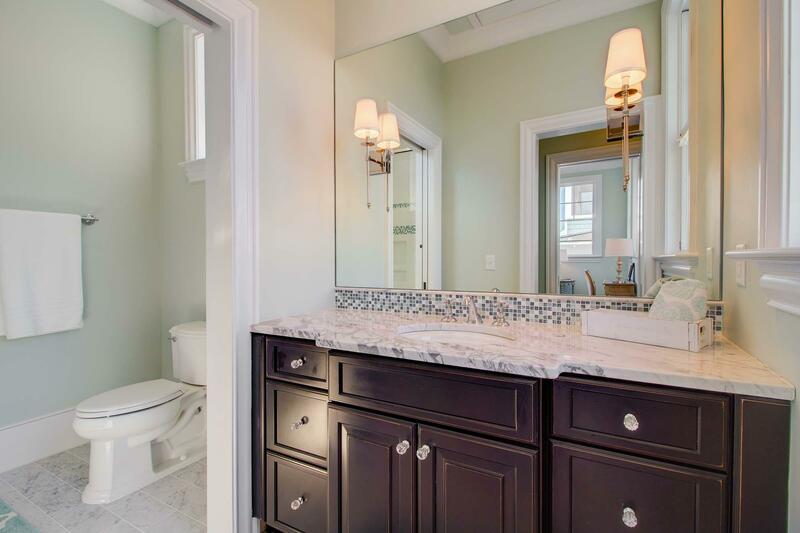 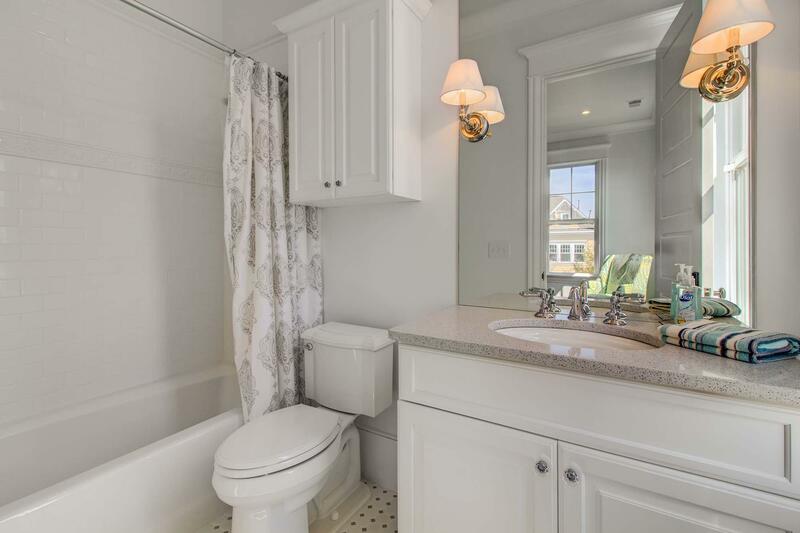 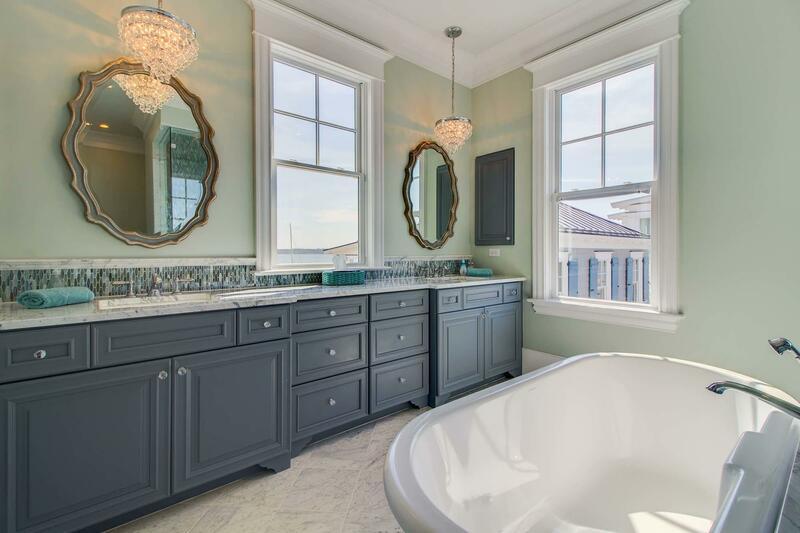 The master bathroom is a true oasis as well, with marble floors and counters, freestanding Victoria and Albert tub, oversized walk in shower, and custom mosaic glass tiles.There are two more bedrooms on this floor and each has an on suite bath with porcelain showers/tub . 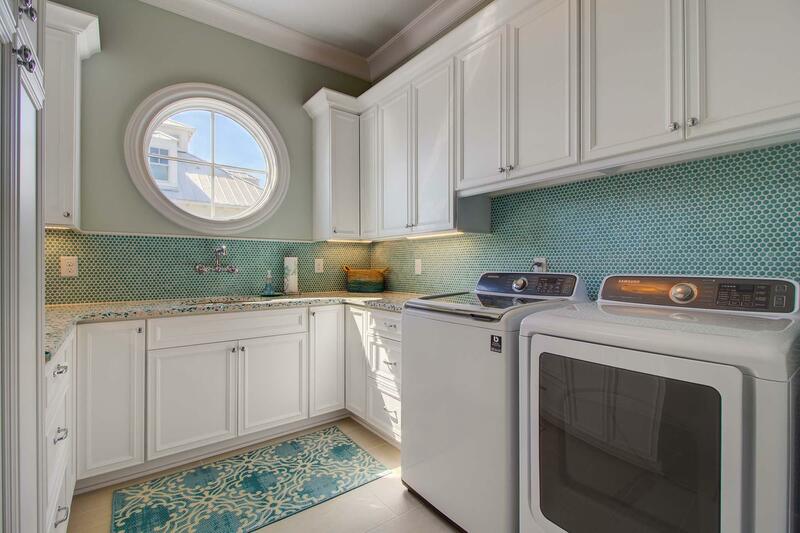 Let's not forget the amazing laundry room with Vetrazzo countertop, penny round backsplash, and an abundance of cabinetry for storage . 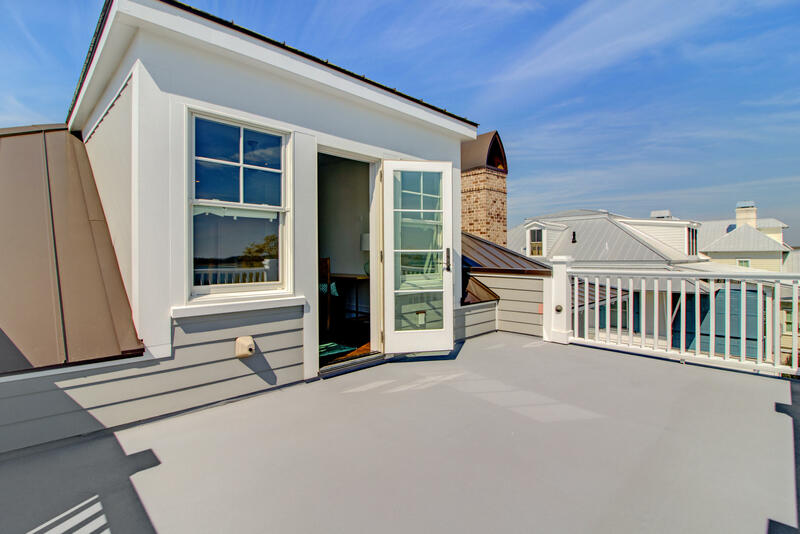 The third floor incorporates a large media/bonus room with a full bath and private deck with far reaching views. 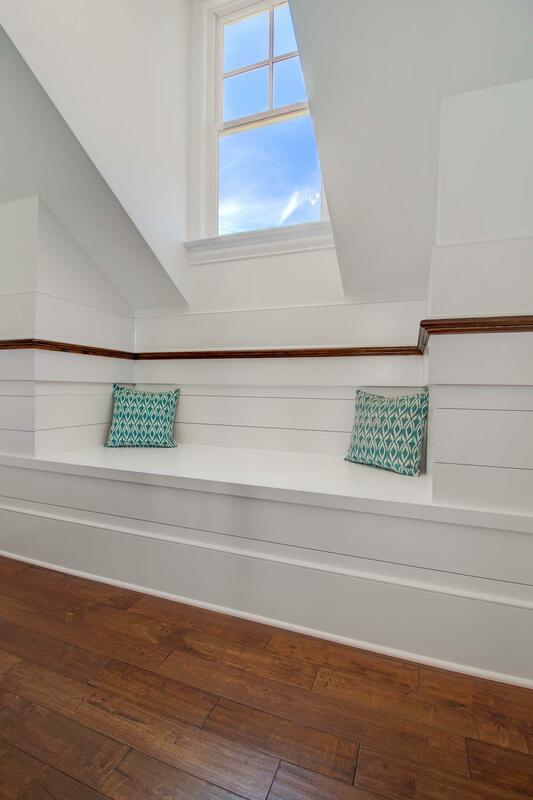 This space could also be utilized as another bedroom, or guest retreat. 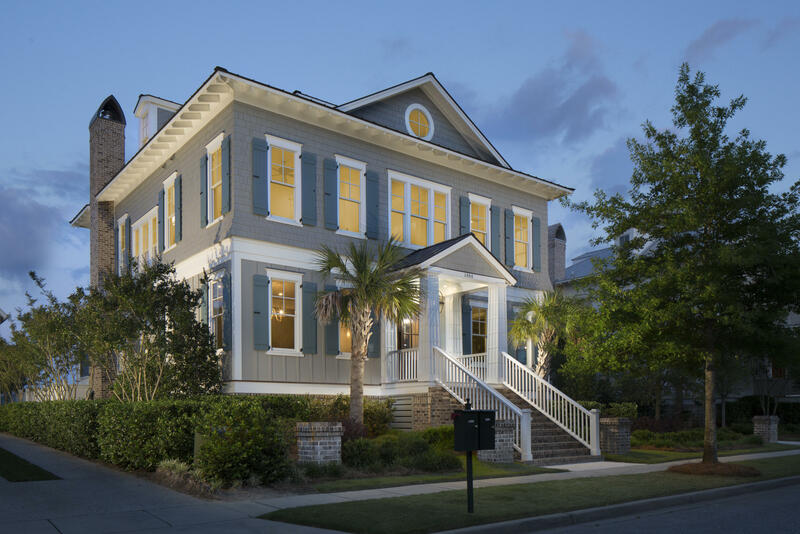 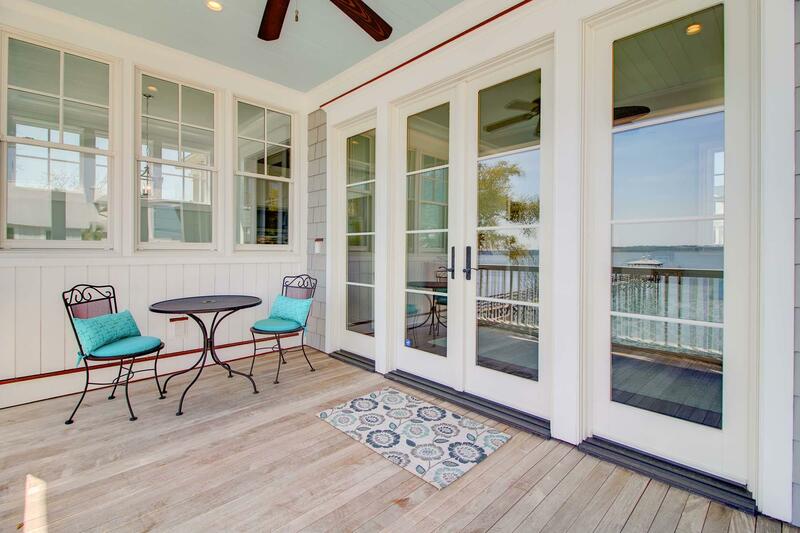 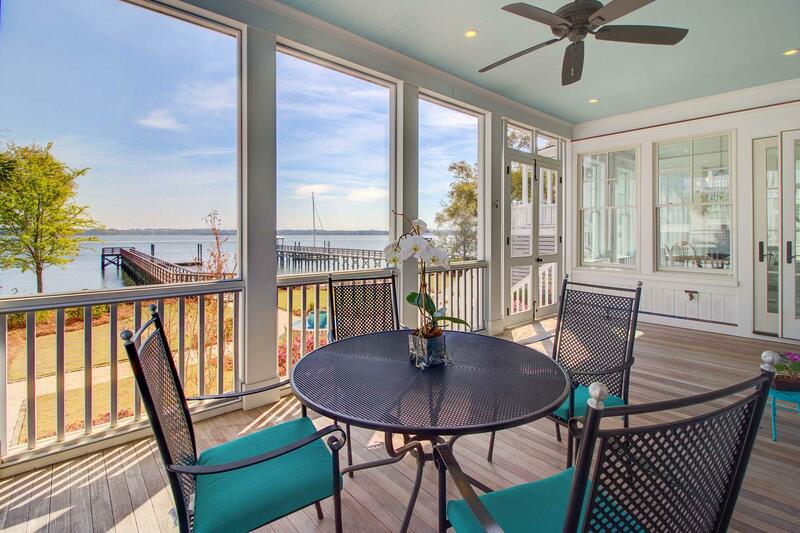 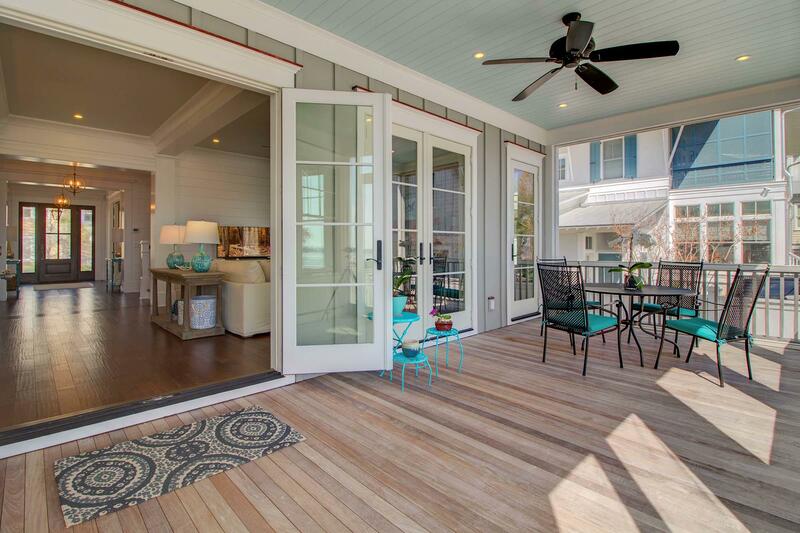 Tranquility abounds in the outdoor living spaces which capture the beauty of the low country and waterfront living. 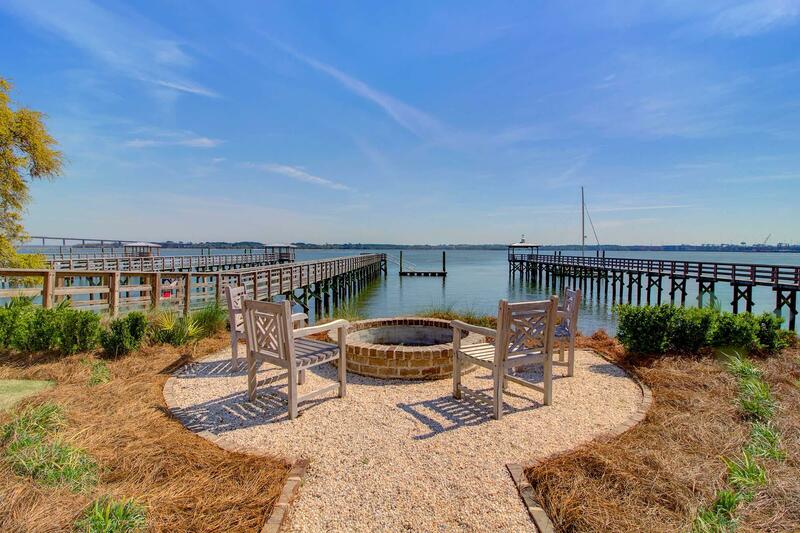 Enjoy any of the multiple porches, or relax with a glass of wine while sitting around the built in brick fire pit. 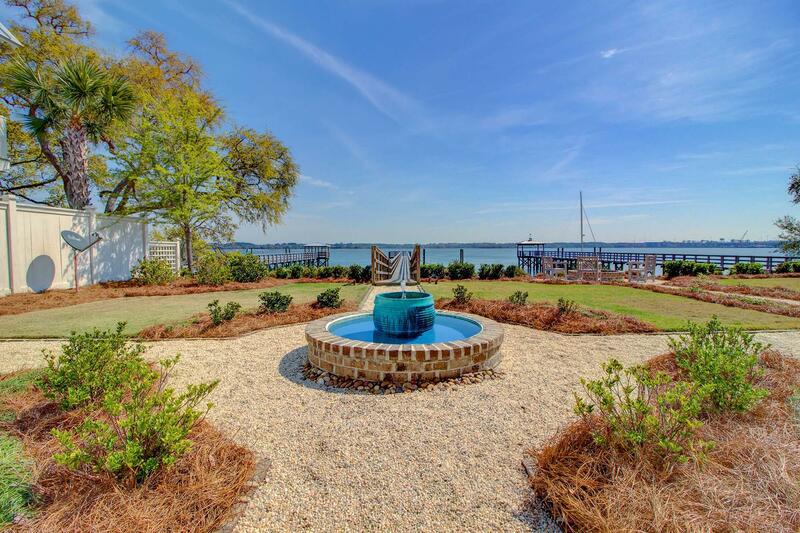 The professionally designed landscape includes a tranquil fountain and four custom copper lanterns. 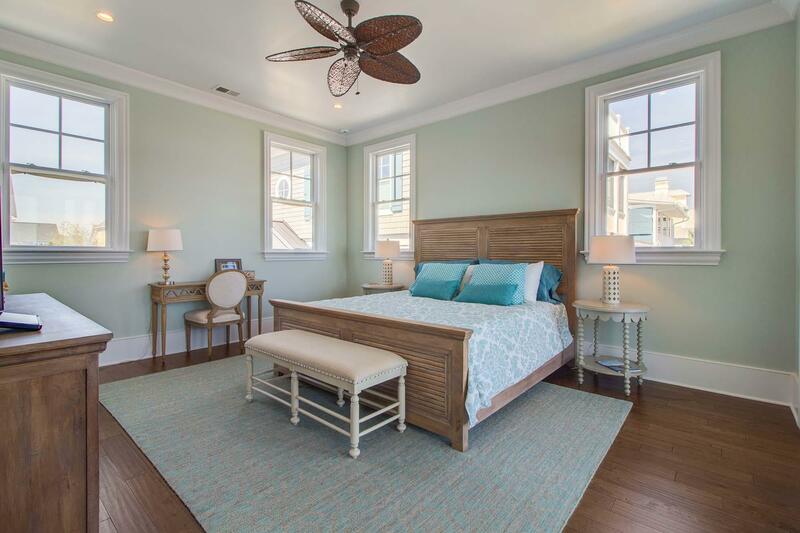 Mimicking the main house in quality and features is the guest suite located over the detached garage. 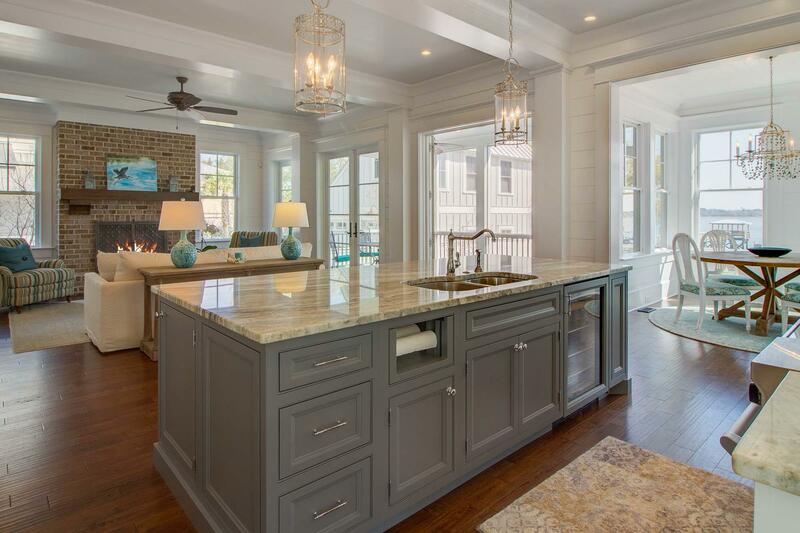 Pecan and marble floors, quartz counters, and a full kitchen offer guests their own little haven. 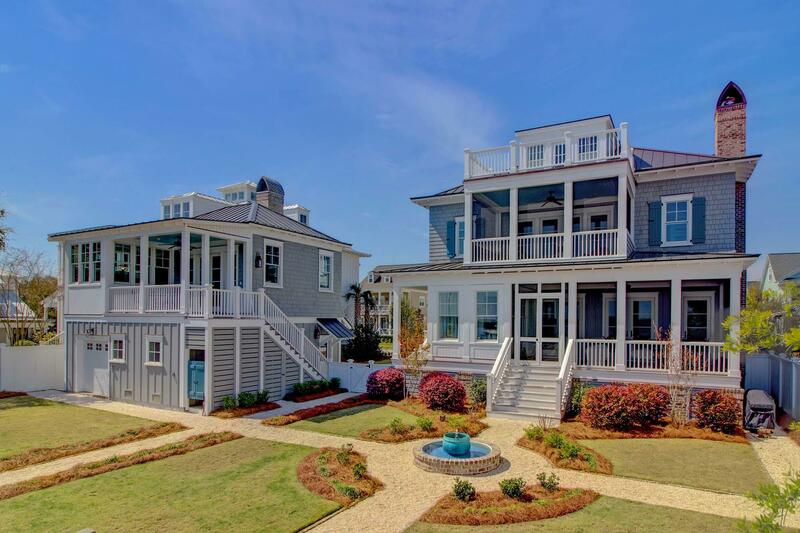 Your only problem will be getting them to leave. 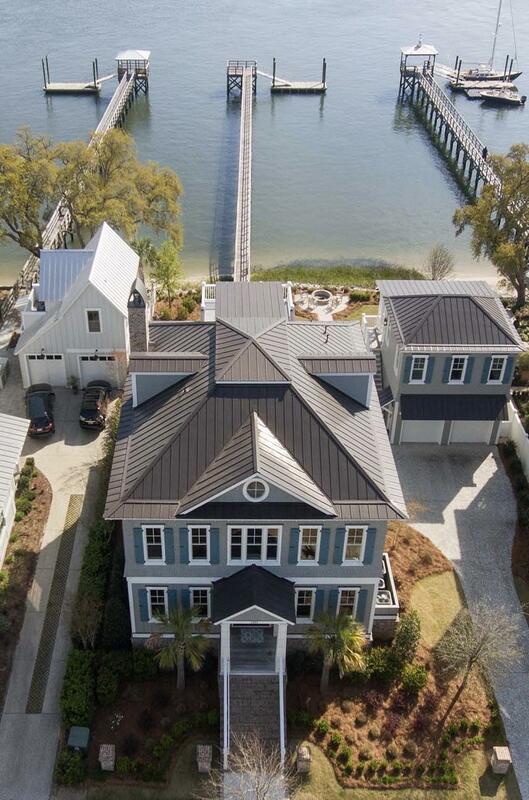 Flood insurance is only $600 a year on this property...just another added bonus! 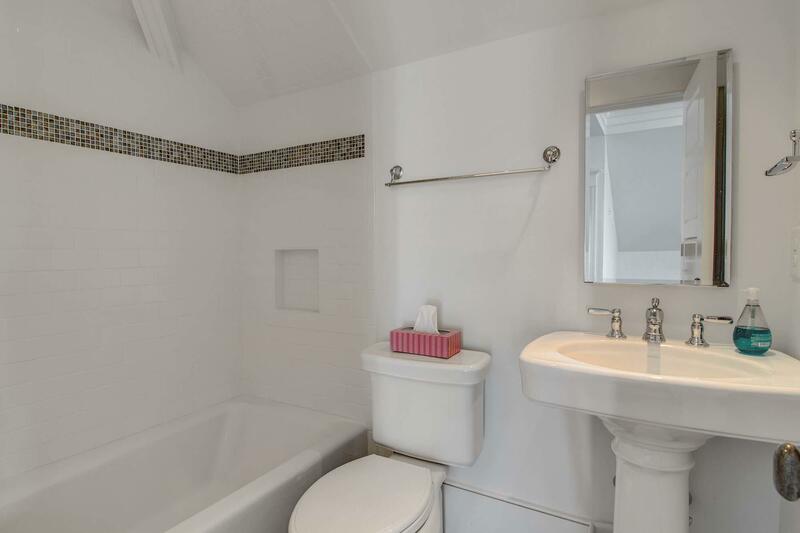 This unique property will not last long. 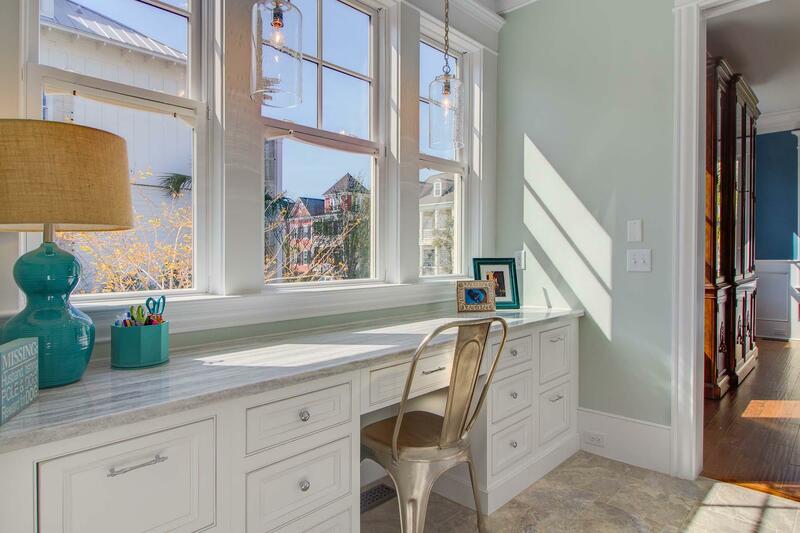 Call today and begin to make your dreams a reality!